A decade ago, most health-conscious consumers would prefer a soda or dessert made with stevia versus an artificial sweetener. Then came monk fruit. In China, it’s called luo han gou (lo han). Compared to the – let’s be brutally honest here – awful stevia aftertaste, the “new” fruit-derived option seemed like a no-brainer. Being no calories with a better taste, it was the clear winner within the natural sugar free category. 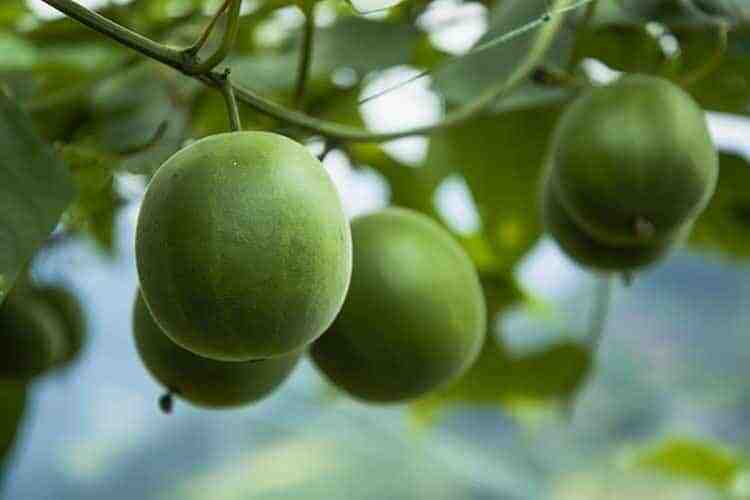 Native to eastern Asia, monk fruit is a small melon that grows on the Siraitia grosvenorii tree. There are 13th century records of Chinese monks using it and hence, why it’s called monk fruit. The sweetener derived from it is 250x sweeter than table sugar. That intensity is according to the FDA and it’s in reference to the pure isolated mogrosides (1). This is what a lo han kuo or monk fruit looks like when it is considered ripe. The inside is not appetizing in appearance! 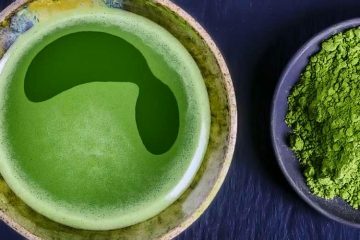 Considering its potency, taste, and health benefits, why don’t you see everyone using it? Mogrosides are the active ingredient which give it the flavor. In the whole natural fruit, the concentration of mogrosides is only 1%. To make it work, you have to refine it… a lot. Why? Because this melon is rich in volatile sulfuric substances. It would taste a lot different if you left those in. In fact, even if you knew where to buy fresh monk fruit, you probably would spit it out after the first bite. In spite of it being healthy, no one eats it because of the wretched sulfuric taste. Filed in 1993, Procter & Gamble had the best patent for refining it (2). Fortunately, that expired in 2013 and now others can replicate it for commercial production. Before that, rather than license the patent from P&G, some companies chose to use other inferior methods to save a buck. But as a customer, you would suffer as a result, because the sulfur-containing compounds not only tasted bad, but they may contribute to smelly gas! In short, the limited cultivation compounded with finicky refinement options has kept this the more expensive natural sweetener. 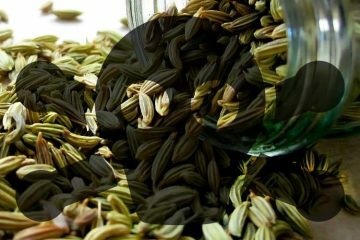 Considering the financial drawbacks, it’s no surprise that everyone uses the cheaper and more readily available stevia. The refining process to isolate its active ingredient – rebaudioside A – is arguably even more complicated, but the Japanese have been using it for several decades, so the options for how to make it is much more broad. For starters, not everyone sells this sugar free replacement. Even what’s for sale at Whole Foods is limited. At their Los Angeles locations, they carry several brands of stevia, but only two options for monk (both of which we review below). When it comes to prepared foods, sadly no one is using it. For selection and pricing, it’s probably best to buy online. One of our favorite monk fruit brands (#2 on the list) is a product we’ve only encountered at a brick and mortar store once or twice before. We aren’t aware of a single soda on the market which uses it as an ingredient. Or at least as its only sweetener. Compare that versus stevia-sweetened cola like Zevia, which is for sale even at Walmart and Target. Yes, they do use a little monk now in it, but not much relative to the stevia and sugar alcohols. Coco Coca Life – which comes in the green bottle – only uses Truvia (stevia) along with lots of normal cane sugar. 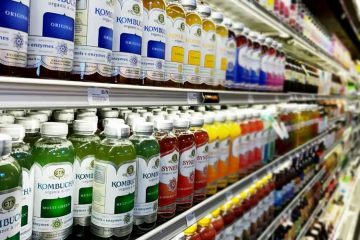 Blue Sky, Virgil’s, and other niche brands are available in some markets but again, they’re all stevia sodas. The only way to get 100% monk fruit sweetened soda pop is to make your own! Fortunately, homemade is very easy and no, you do not need a SodaSteam to do it. 1 can of club soda or flavored carbonated water. 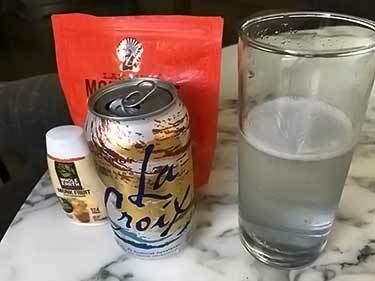 Try La Croix water with coconut flavor. Liquid monk fruit extract or powder, your choice. 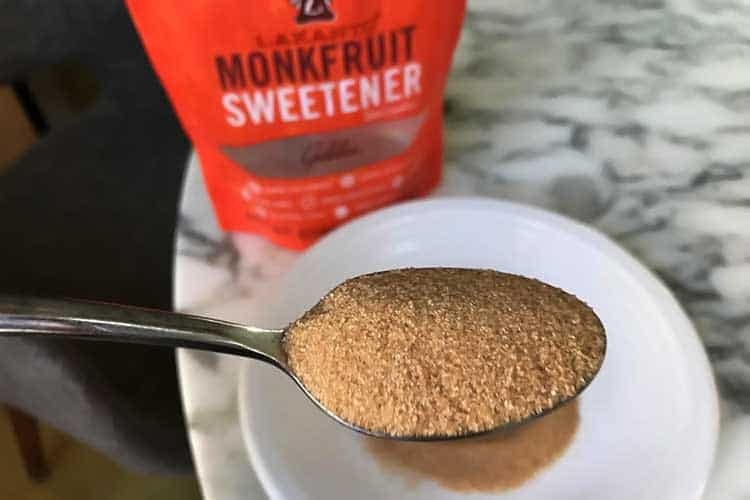 Put the monk fruit equivalent of 3 teaspoons of sugar in a tall glass. The exact amount will vary based on brand. Slowly pour the entire 12 ounce can into the glass. Stir and enjoy! If desired, add more sweetener. For flavor, try adding a splash of almond milk and organic vanilla extract to make a low calorie vanilla cream soda. Use a 1/2 teaspoon of Frontier’s natural raspberry flavor to make a delicious raspberry soda. Or try it with cola flavoring. 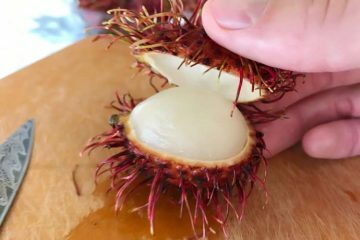 But before you can use that easy soda recipe, you need to know where to get monk fruit that actually tastes good! Here are the 3 best on the market in our book. Everyone knows those brown Sugar In The Raw packets. These come from the same manufacturer and chances are, you’ve also encountered this orange box and might even use it. Are they are first choice? Nope. However considering that they are probably the most widely sold in the US, it’s important to include at least one option on our list which is easy to find and low cost, relatively speaking. Is sugar or stevia In The Raw really a natural and good for you raw food? 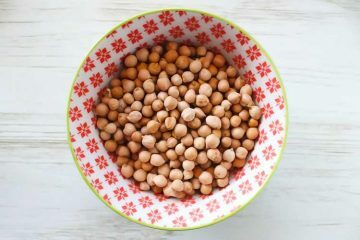 Whether something is “good” for you and “healthy” can be subjective, but what we can say is that their products are not “raw” in the sense of being unprocessed or unheated. The holds true for their monk product, too. They’ve had this brand name for decades, before the trend towards raw foods really took off. 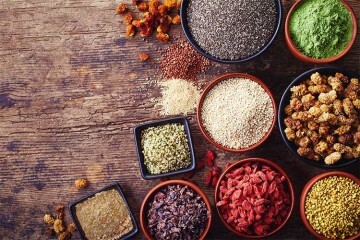 What they sell is less processed than their traditional counterparts, but it’s not “raw” in the sense of the modern culinary definition which most people think of. Good flavor. Tastes very close to sugar with no funky aftertaste. Most zero calorie options which perform that well are completely artificial, but not this one. Convenient packets. 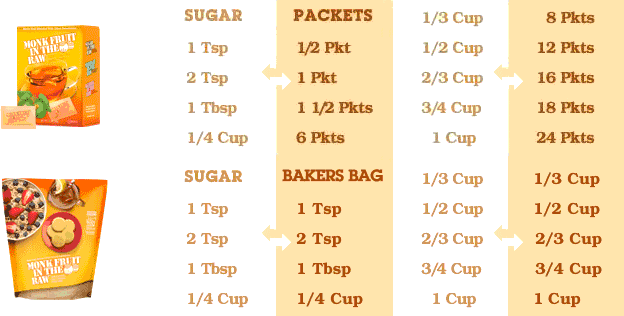 While you can buy a big bag for baking, it’s most commonly sold in packets. That makes it easy to travel with and convenient for the office. According to that chart, they say In The Raw monk fruit conversion to sugar is 1:1. On a technical basis, we’re not disagreeing with that conversion ratio. The problem is its sweetness can seem short lived after it hits your tongue, shorter than normal sugar. As a result, when we make Christmas sugar cookies, we need to add at least 20% extra to obtain the same effect (or more accurately said, the best it can be versus real sugar). You palate may vary though, so experiment with your cookie or cake recipe before taking this advice as gospel. Dextrose filler. Yes, given that the starring ingredient is 100+ times sweeter than sugar, we understand the need for dilution. Though we wish they wouldn’t use corn dextrose as the dilutive agent. Might be GMO. While it is gluten free, vegan, and kosher, it’s NOT marked as non-GMO. Nor is it organic. Their website’s FAQ is totally silent on the genetically modified thing and it’s not mentioned on the box, so draw your own conclusion on that. Purported side effects. Some people allege that Monk Fruit In The Raw gives them gas and bloating. There’s no study or documentation which would support those claims, but you do hear a number of people complaining about it, especially when they eat a few packets at a time. If that is happening, could it be all the dextrose causing it? Price. 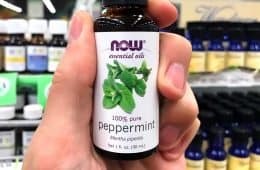 It often costs significantly more versus Stevia In The Raw, at least according to the prices you will see at Walmart, Target, and most supermarkets. Because of its intensity, inevitably all of powder forms have to heavily dilute the fruit extract with something else. 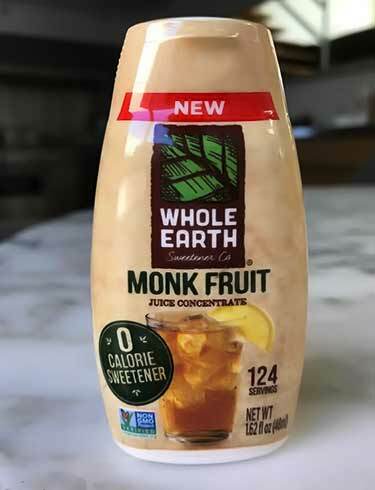 If you want to buy pure monk fruit without sugar alcohols, dextrose, and the least amount of filler as possible, then try this liquid version. 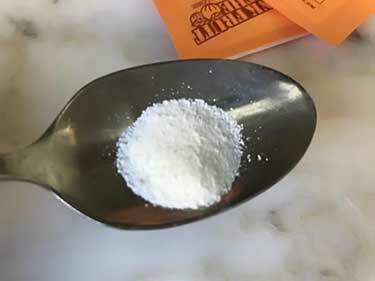 Unlike most powder forms, which have an equal 1:1 ratio to sugar, with this Whole Earth sweetener, the conversion ratio is 1/8th of a teaspoon = 1 teaspoon of sugar. How do you measure that out? The instructions on the nutrition facts label say how to use it; “just 1 squeeze” (whether that works or not, see below). While their website does not address its impact on blood sugar, given that it’s pure lo han sweetener with no additives (other than a natural preservative) it’s pretty safe to conclude this should have zero impact. If you have diabetes, this is a great option since there is no corn dextrose or other carbs which might slightly raise your blood sugar. Great flavor. We said In The Raw was good, but this one is great. It’s a syrup, similar to agave but not as thick. Admittedly, if you do squeeze out a spoonful and put it in your mouth, it will have a not-so-great aftertaste. Though hopefully you don’t eat your sweeteners that way! When combined with any food or beverage, you don’t experience that. Now with the #1 on our list (below) you can literally put a naked spoonful of it in your mouth and basically have no aftertaste. Strongest potency. In terms of volume, this packs in the most intensity. When you see this Whole Earth sweetener’s ingredient list, you will understand why. It reads “monk fruit liquid concentrate, citric acid (preservative).” That’s it, just two ingredients! There’s no sugar alcohols, no dextrose, no filler. 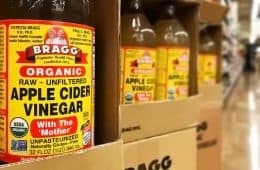 Since pure Mogrosides are at least 100x sweeter than sugar, it can be presumed that Whole Earth has refined their “juice concentrate” less than the powders. Otherwise, the directions wouldn’t say it’s a 1/8th to 1 ratio for white sugar replacement. Non-GMO. 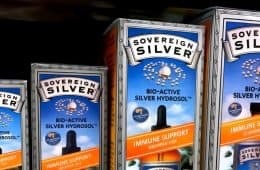 With this brand, there’s no question mark as to whether it’s made using genetically modified corn – they have the seal on the package. USDA certified organic monk fruit sweetener is not produced by anyone, which is understandable because for internationally-grown niche produce like this, they kind of have to take what they can get. 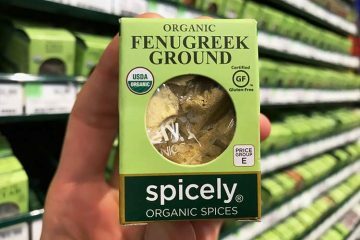 Even though it’s not organic, non-GMO at least tells you it’s coming from a natural source. Packaging. Measuring this is no easy task. They say a “squeeze” equals a serving, which is supposed to be 1/8th of a teaspoon. 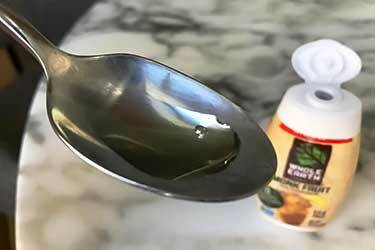 The photo here shows what happened when we did a squeeze… that looks to be more than 1/8th of a spoonful! For recipes and drinks where you have a lot of leeway, this may not be a problem. But if you just want a touch in your coffee, that may or may not happen depending on how hard you squeeze. Worse yet, it’s not like you can put it back in the bottle if you squeeze out too much. Availability. Where to buy Whole Earth sweetener? Their line of stevia products is relatively easy to find at Whole Foods and other specialty grocers. Even many run of the mill grocery stores sell it. However when it comes to their liquid monk fruit extract, you can’t find it for sale at Whole Foods in West Los Angeles, at least as of the time of this review. It’s hard to find. Price. Given its limited availability, if you find it in a store, be prepared to pay up. Online pricing may or may not be better. It won’t be cheap regardless of where you’re buying it from. Expiration date after opening. When we ordered it online, what we received had a very long shelf life – over 18 months away into the future. Though once it’s opened, it needs to be used within 60 days according to the bottle’s label. After that, it’s considered expired. Refrigeration required. This may be the biggest drawback, at least for those on the go. The bottle requires refrigeration after opening. Before being opened, it’s sold at room temperature and can be stored that way, too. If you want something that tastes better than In The Raw brand, try this all-natural sugar substitute. Its price will probably be higher, but the added cost is well worth it. In the US, it’s only been available for a couple years, but in Japan, Lakanto – under the brand name Saraya – has been sold since the 90’s. The reason it’s the best tasting monk fruit and no others compare is because they patented their extraction process. Is monk fruit safe? According to Lakanto’s website, in the 15+ years of selling it in Japan, no side effects “have ever been reported.” So their product has an excellent safety track record, as do others. 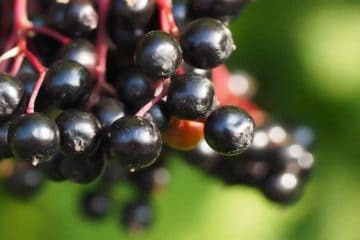 Monk fruit safety during pregnancy has not been formally tested by the US government, however for the general population, they do classify it as Generally Recognized as Safe (GRAS). If there are pregnancy side effects, it doesn’t seem anyone knows about them or even suspects them based on current research. There is not research to suggest monk fruit is a genotoxic or mutagen (4). It does not convert to the undesired steviol compound when rats eat it. As you can guess by the name, the creation of steviol in rat intestines appears to be something unique to them eating stevia. Excellent flavor. They have 2 versions which both taste great. Between Lakanto golden vs. classic white, the latter is just plain boring in comparison. The golden has a subtle brown sugar taste. Don’t worry though, it’s only a hint of molasses flavor, so it seems to work well even in baking recipes where regular brown sugar may be inappropriate. No aftertaste. None of the brands on the market have an aftertaste as bad as stevia, but some do have a linger of unpleasantness. Lakanto is not bitter at all and has none of that strange taste after eating it. Zero glycemic index. What is the glycemic index of monk fruit? In The Raw brand’s FAQ on their website skirts answering that question, by saying glycemic load is “a more appropriate concept for sugar substitutes” and they don’t provide the load value, either. What they’re saying about both is 100% true, but diabetics and those conscious of blood sugar spikes would prefer a less generic answer than that. Is Lakanto good for you? Their website clearly says it has “zero glycemic index” and “zero impact on blood sugar or insulin” so there’s no question mark with this brand. The reason that’s possible is the filler it uses is not dextrose or a similar carb, it’s erythritol. 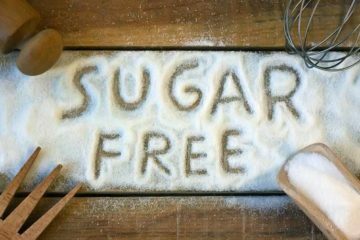 The is only one of two sugar alcohols in existence which research has found has zero effect on blood sugar levels (5). The other is mannitol, but that one is infamous for causing farts and stomach aches. To be clear, In The Raw is good for diabetics and certainly is healthy versus sugar. While its precise glycemic impact is unknown, it probably is close to zero. But without them giving a more concrete answer, we’re just left speculating as to the exact blood sugar effect it may or may not have. Non-GMO. 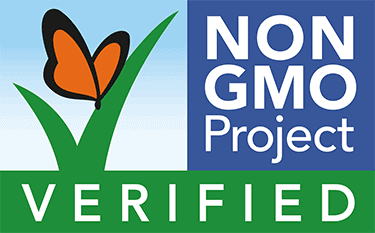 They proudly feature the non GMO project verified seal on their packaging. Vegan, gluten free, and kosher. Conversion ratio. As seen in the first graph above, both the immediate and lingering intensity is very close to normal glucose. That makes it an excellent monk fruit for baking. Blending with another sweetener mix is not needed. Erythritol. This can be a pro or con, depending on how you look at it. 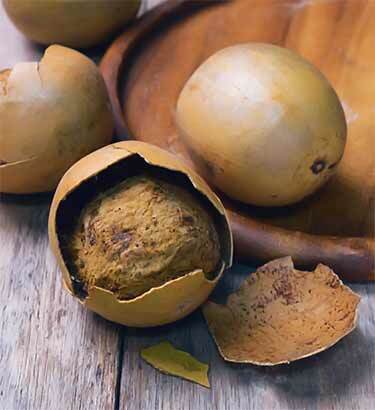 The two ingredients in Lakanto are erythritol – a sugar alcohol – and monk fruit extract. Most would say this naturally fermented sugar alcohol is preferable over diluting with dextrose. They create it through the fermentation of non GMO corn. In nature, you can find small amounts of it occurring in grapes and other fruits. Even some mushrooms make it. Regardless of source – fermentation or naturally occurring – it’s identical on a molecular basis. Even though it has around 70% of the sweetness as glucose, the bacteria in your mouth can’t metabolize it, so there’s no chance it can cause cavities or tooth decay. With all those apparent benefits, why then is this categorized under cons? Because sugar alcohols can cause digestive upset in some people, especially if you eat large amounts of them at one time. Fortunately, erythritol is considered to be the best tolerated among the dozen or so common dietary forms. Even for people who experience problems with erythritol, many report being able to handle Lakanto monk fruit without any side effects of gas and bloating (which they might get with other sources of erythritol). That may be due to their unique fermentation process which makes it using non GMO corn. Price. If In the Raw brand is a Toyota, then Lankato is the Mercedes Benz of monk fruit. It will likely cost you more money, but one bag does last a long time since its intensity is a 1:1 ratio with normal table sugar. Just launched within the past year, this is the same top quality extract from Lakanto, except it doesn’t have erythritol added. As such, it’s extremely concentrated. How much do we like it? 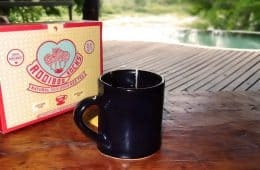 We use it for tea every day, as well as sweetening almond milk for use with cereal and quinoa flakes. Among the flavors, we like vanilla the best. Here’s the link for it on Amazon. The only reason we don’t currently have it in our pantry is because it keeps selling out! You may want to evaluate the product Luo Han Guo Sweetener, marketed and sold by LC Foods Market. It’s highly concentrated, so you only need a little (I mean a “little”). A dose the size of a match head or two is enough to sweeten an 8 oz. cup of tea or coffee. It contains nothing but monk fruit powder. It’s worth the price… a little goes a long way. Swanson’s product isn’t bad either, but it’s cut with silica. They claim it keeps the powder from clumping. Straight up, it has a very slight licorice flavor. You can’t taste it in a drink though. Thanks for recommendation, will check out. 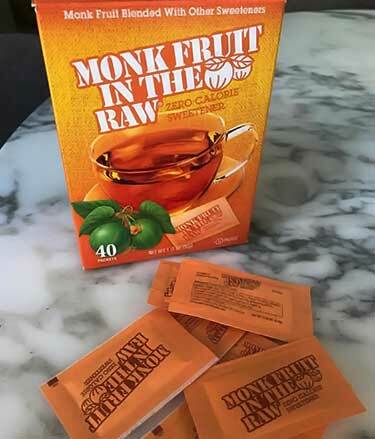 Agree on Monk Fruit In The Raw but since it’s the most readily available, it is a good alternative vs. stevia when you’re in a pinch. Have you tried this monk fruit powder from nuts.com yet? They say it is 80% mogrosides and 20% other components of dried monk fruit. No fillers. The price is better than LC. No, but I’m willing to try. 80%? Wow, that’s strong. Does it have a strong taste? I recently bought a jar of Pure Monk fruit by Smart138, from Amazon. It’s less expensive than the monk fruit I’ve been using and tastes fine. I am also interested in what the nut.com monk fruit is like also. their website doesn’t show the packaging, nor give much information. I have corn and sulfa allergies. Would this not be a good option for me. I can’t tolerate refined sugar. We have tried Lakanto golden in cooking, baking and sweetening drinks. We both feel it is a superb product for use in all contexts. Absolutely no aftertaste and excellent sweetness value…as good as sugar. 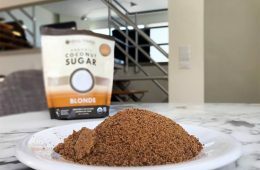 We use it because it seems to be the ONLY healthy alternative to sugar which actually tastes like sugar…..zero calls and glycemic index…ALSO apparently microbiome friendly …(unlike most …ALL…cheap sweeteners i.e. aspartame etc. which decimate gut bacteria). Our ONLY complaint is the price which is very high but exorbitantly expensive in UK when you add on the shockingly expensive import duty which increases the total cost by 50%. How frustrating that this excellent and healthy product is so expensive in the UK when we are increasingly overwhelmed with negative press about the shocking effects of sugar (and lately) even commonly used low/no cal sweeteners in our diets. Besides my political concerns, GMO corn doesn’t require pesticides because it’s modified to produce it’s own. The concern is the pesticides it produces may be ingested by the consumer. Don’t have all the details and Monsanto sure isn’t saying much either. Monsanto got acquired by Bayer. I saw this brought up on the Lakanto product page of Amazon under the reviews, and wonder if anyone can add to it. 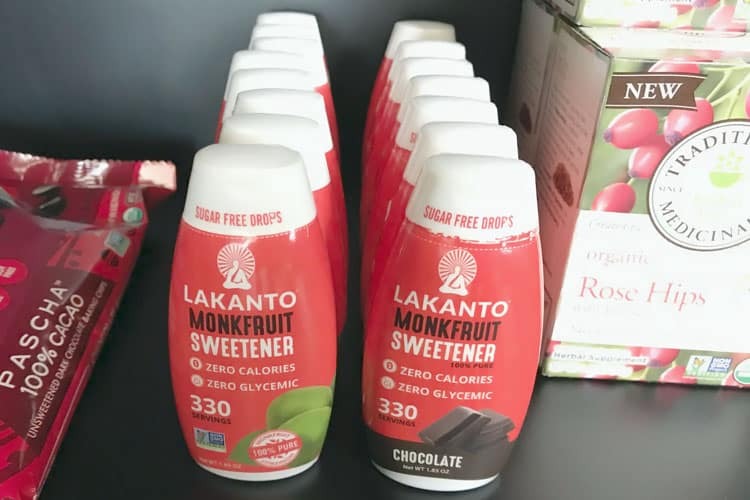 Some people stated that Lakanto is almost entirely erythritol, with just a touch of monk fruit, and note that the sugar alcohols listed on Lakanto per tsp is 4g, and on a bag of of just pure erythritol, it is also 4g. If there use of erythritol is not so bad, why do they not mention then along with the back story of monk fruit? And if BOTH products list sugar alcohols at 4g per tsp, and monk fruit itself has no sugar alcohol, then isn’t Lakanto really almost entirely erythritol? I am asking in case there is something that I am missing or not understanding. Thank you for the above information, and any further information you can provide. @Angela Alexander, I also believe Lakanto is mostly erythritol. I’ve tried that as well as Pure Monk by Julian Bakery which is 100% monk fruit in powder form. It isn’t even close to a 1:1 ratio, which makes sense since it’s supposed to be 250x’s sweeter then sugar. I used Lakanto in baking and coffee, and the brownies were terrible as well as the coffee. I highly recommend the pure monk fruit powder. It’s pricey, but worth it. No side effects, and the sweetness is great. Rita, concerning baking with monk fruit- I have repeatedly read that pure monk fruit cannot be used for baking. Despite this, I keep experimenting and hope to eventually have success. I have been extremely successful with it in cheesecake but not yet with brownies, cookies or cupcakes. Let us know if you have success! 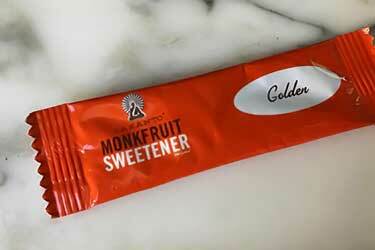 Bought Monk Fruit sweetener at health food store. Love it! No after taste like the other sweeteners. Next step is to try baking with it. 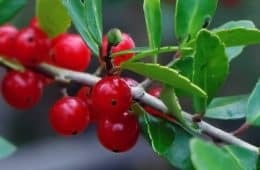 Lakanto monkfruit taste sweet in foods like oatmeal but in hot drinks like coffee or tea is like having nothing at all. They say 1:1 ratio to sugar but does not do the job. Stevia is better but has side effects like excess gas. For the price I’ll drink my coffee black. I have some Birch Benders Paleo pancake mix, that uses monk fruit as a sweetener. It has a horrid cloying aftertaste to me, not any different than saccharin. I also get a horrid aftertaste from stevia so I know I’m sensitive to aftertastes. I’m hesitant to try ANY monk fruit after this experience; is there really that much of a difference? How does Xylitol compare to other ‘natural’ sugar alternatives? I’ve tried it & it seems to h/ slightly less of an aftertaste. Thanks for your help. I’ve reduced carbs & sugar & have lost weight! Erythritol was originally developed as an insecticide. I’m sticking with pure monkfruit. Late on the chain here regarding your 3rd place item, but you CAN purchase 1/8 tsp measuring spoons on Amazon as part of measuring spoons sets. Just search for 1/8 teaspoon there. NOTE: Used to be you could only get the Smidgen – 1/32-teaspoon, Pinch – 1/16-teaspoon, and Dash – 1/8-teaspoon sets that didn’t have the numbers so myself and family simply printed a chart and affixed to the inside of cabinets and recipe books.